I have had a presence on People Per Hour for a while now, but due to a flurry of external projects over the last year have had little time to get properly plugged in. Having recently...Read moreI have had a presence on People Per Hour for a while now, but due to a flurry of external projects over the last year have had little time to get properly plugged in. Having recently tied off all remaining projects I am now very keen to win relevant bids and get cracking on some new and exciting projects. 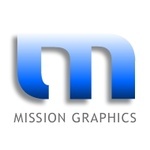 Mission Graphics provides a wide range of creative solutions using Motion 5, Macromedia Flash, Adobe Photoshop, Illustrator, Premiere or After Effects, as well as traditional hand-drawn illustration and design. 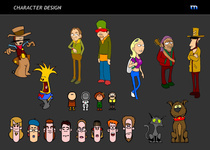 With over ten years experience in 2d Animation, I have worked with a wide range of respected companies such as the BBC, Orange and Aardman Animations. Mission Graphics also takes on projects involving Logo Design, Illustration, Character Design and Banner Design and am dedicated to providing a friendly yet professional service. For quick examples of my work, please take a look at my People Per Hour portfolio or run a search on your browser for Mission Graphics, to see more examples of my work or to watch my 2011 animation showreel. Summary: I have worked for BBC, CBeebies, Aardman, Orange, Audi, Brothers McLeod, A-Productions, Alternative Research Community, Henchman, Bluestone Healing, Brickbone Healthcare Consulting, Healthy for Men Magazine, Evans Finch, Bristol Solar Power, Back to the Planet, Origin Films, JLT Management, Esky Learning, Asision, Yell.com, 3 Line Media, GN Espace. Description: To design a graphic illustrating the 'life cycle' of the Henchman product range, as well as their various applications. 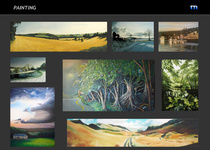 The final design would then be printed onto a large scale banner to be used as a backdrop for trade shows and exhibitions. 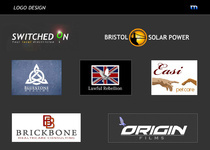 Description: 1) Logo Design - Design of the Orpago company logo. 2) Business Card Design - Design of two-sided business card. 2) Flyer Design - Design of a number of small advertisements for both distribution and for print in local magazines. 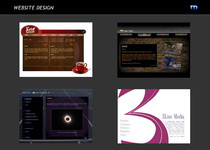 3) Brochure Design - Design of a glossy brochure illustrating the company's products and services. Winchester School of Art - Foundation in Art & Design.